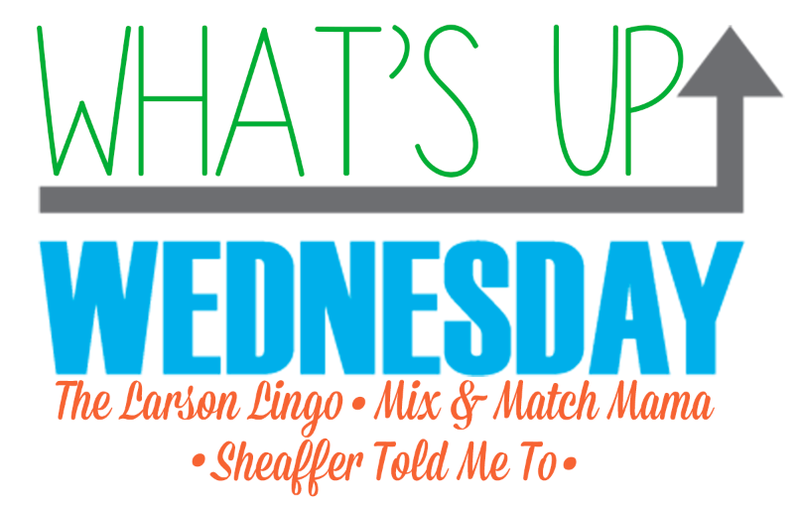 The last Wednesday of every month I link up with Mel, Shay and Sheaffer for What's Up Wednesday. These posts are always a doozy, but my favorite to go back and read! Sunday: We had this guy above! AJ got super fancy at Buford Highway this week. We had this along with some mushroom soup he also whipped up! Monday: AJ cooked a Moroccan style chicken in the InstaPot and we served it over rice. Tuesday: Taco Lasagna.. AJ made like 15 pans of it a couple months ago, so I always cook this on Tuesdays when he has late meetings. Wednesday: Peanut Chicken with Zucchini Noodles - Kell Bell shared this recipe with me. You can find it HERE. Thursday: Korean Beef and Rice - you can find the recipe HERE, shared by North Carolina Charm. Friday: Mexican Pizza.. all kinds of fun recipes this week!! You can find this one HERE. Saturday: We are throwing shrimp and chicken on the grill and having those precious newlyweds, Bev and Ben, over. We spent ALL last Saturday outside! We started the day by getting all our pine-straw out around the flower beds. I get the cheesiest grin on my face every afternoon pulling into this little yard. Aunt Lexie gave Maddie Jane this giant bubble wand and she was BESIDE herself. AJ had a Fiji alumni dinner and "Keddy" came over to have dinner with us! Look at that little grin! She knows she has everyone wrapped around her finger! Celebrating AJ's birthday!! I have made this cake every year for seven years and well this year... it didn't quite turn out. We had AJ's dad, step mom, Alix and Nico over for steaks and shrimp..
And then Friday night we celebrated both of these birthday boys! Then grabbed a couple drinks afterwards with several other folks. Mom and I have been working on all the showers! We have had so many this year and we LOVE doing them! This past weekend, we helped host a Sip and See for my sweet friend, Cassidy. Cassidy adopted this sweet baby girl, Kenzie Kate, and we all got to love on her! SO, so proud to call Cass my friend and how resilient she has been through this whole process. 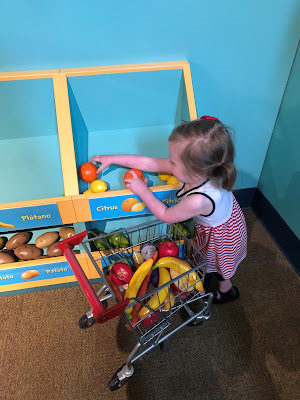 Honey gave MJ a year membership to the Children's Museum and she absolutely LOVES it. As always.. Grey's Anatomy! My forever love. 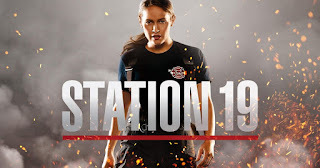 And I am digging the new spin off, Station 19 too! And I am four episodes behind and haven't seen the Scandal finale. I really need to finish this series strong! 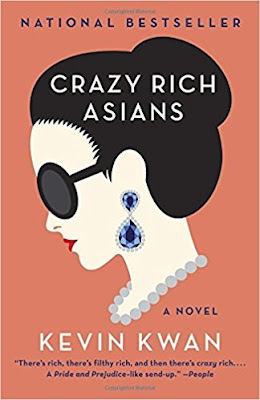 Because I was going to be in the car over four hours on Sunday, I downloaded a new book to listen too. I am almost done with Crazy Rich Asians and it is SO good! 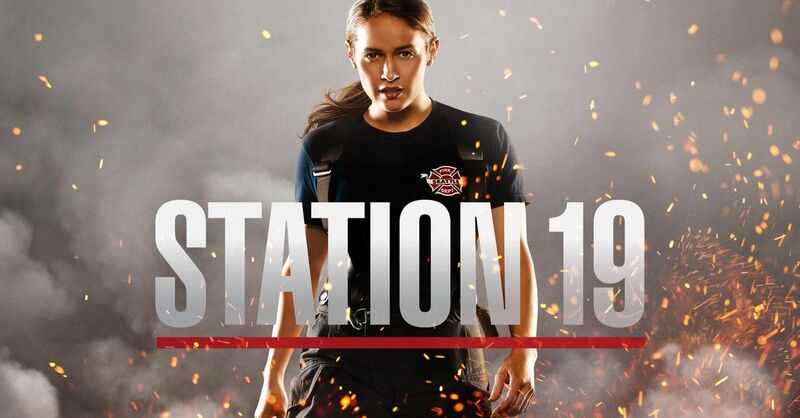 And I def didn't know they were making a movie of this book - looking forward to seeing it this summer! Remembered to take pictures this month! The weather is so hit or miss.. random assortment over here. Every single Saturday, AJ goes over to Roswell Road and picks me up poke from Poke Bar and grabs ramen for himself at Jinya. It's a tradition that I don't wanna stop anyyytime soon. It is by far my favorite meal. Honey is FINALLY done with her four month vacation! We have missed her so stinkin much. She sent Maddie Jane this little outfit in the mail from India! And we have Mother's Day (I get to FINALLY celebrate with my mom after missing it the past four years!! ), and then we are jetting off for a parents' only weekend in Chicago for our fifth wedding anniversary! And random picture of flowers in my kitchen, because it was just too pretty not to include. Hope y'all have a great rest of your week! Loved this post. Happy engagement anniversary! I think we registered for that cake plate you have the cake on - fun! You have the cutest darn style - enjoy your time in Chicago next month!